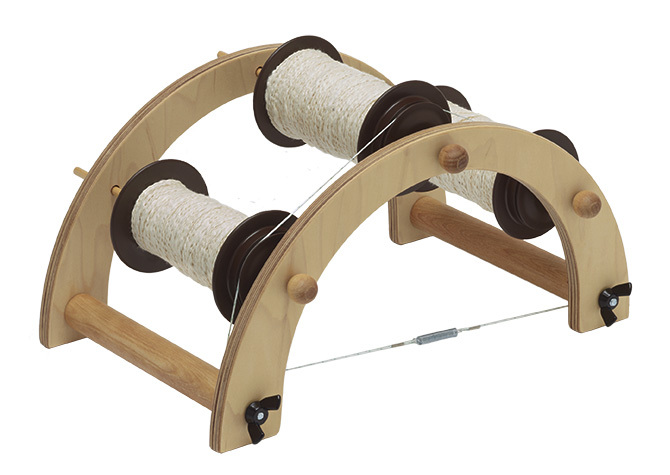 Add plying and bulky yarn capabilities to any Schacht Matchless, Ladybug, or Sidekick Spinning Wheel. Features include a generously-sized 7/8” orifice, large capacity bobbin (about 8 ounces), sliding flyer hooks with incremental stops, and large round guide hooks. The Bulky Plyer Flyer comes with its own special front maiden, bulky flyer, and bulky bobbin. A cherry wood version for cherry Matchless spinning wheels is also available. 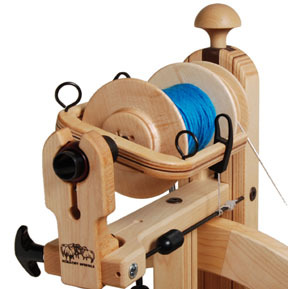 The Schacht Bulky Plyer Flyer Package comes with the bulky flyer and one bulky bobbin, and a front maiden and bearing for either the Matchless, Ladybug, or Sidekick Spinning Wheel. For spinners with multiple wheels, order the package for one wheel and the bulky front maiden and bearing for the other(s). The bulky flyer and bobbin can then be used on other wheels. Feel free to call Linda with questions at 252-449-8422.